Website builders exist to take the grunt work out of creating visually stunning, SEO-friendly websites for people with varying backgrounds and careers. Users needn’t be knowledgeable about web design nor do they need to spend a lot of money perfecting the look of their webpages by working with a professional web designer, photographer, or graphic designer. Offering complete control over changes in font, colors, imagery, text, color, and layout, drag-and-drop website builders are an asset for people starting to build their online presence as well as advanced professionals who want to be able to update and change the look of their websites without any need to write their own code. Not only do the best website building services save users time, but they also reduce the likelihood of coding errors due to inexperience. With their drag-and-drop features, website builders make it easy to arrange and rearrange visual content until it looks the way the user wants. There is also no need to test a website before it goes live. 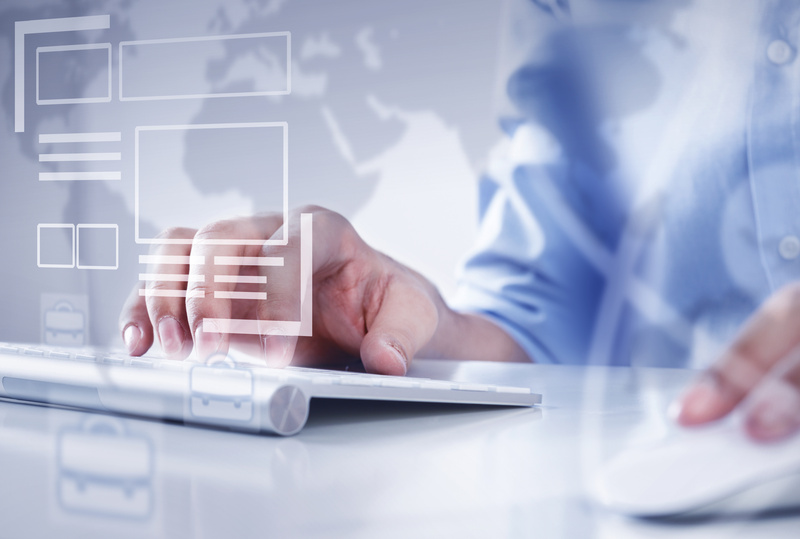 Once the user hits the publish button, the site will be fully operable and ready for visitors. If you are experienced at coding, you can custom build a website using HTML or CSS through most website builders with great ease. Personalized options aren’t off-limits – they’re simply not a requirement for using website building services, which is a relief for people who have no coding background. Among the biggest advantages of using a “drag-and-drop” website service is that it allows you to refresh the look of an existing site effortlessly by moving things around, changing colors and font styles, and adding or deleting text and images. Too often, people pay a web designer to create a website for them from scratch only to have it become irrelevant after a short amount of time. If you don’t want to have to pay a professional every time you need to introduce new products or services to your customers, you’ll love the flexibility a website builder solution can offer. The flexibility of switching things up quickly to keep content evergreen is a notable feature offered by website builders that allows you to make as many changes as necessary without incurring extra costs. In addition, if you want your website to go live immediately, you won’t need to jump through hoops to make that happen. By placing text, photos, and graphics where they make the most sense on the page, you’re able to launch your new or revamped site quickly and easily. There’s no need for user testing or to go live with an initial soft launch, which could delay visitors from discovering what you have to offer. Most website builders provide pre-designed templates for you to choose from based on the type of website you want to build. Usually, these templates are grouped by category for convenience. Most templates are customizable and user-friendly, which adds to their overall appeal. Templates are also approved by both designers and users in order to increase visibility and appeal of sites built from them. Website builder templates are also designed to be viewable on a multitude of devices and different screen sizes. The user experience (UX) for your website may see dramatic improvements because visitors will be able to access the site while on mobile devices and get a similar experience as they would on a larger screen. They may also be able to find your website more easily on search engines thanks to the built-in search engine optimization (SEO) tweaks that templates can provide. Start-up businesses looking to keep their costs low may find website builders valuable because of their affordability. Many of these service solutions offer monthly and yearly plans, enabling business owners to justify the cost of paying a set fee over enlisting the services of a website designer who charges by the hour. Many website building companies offer a range of services that are included in the various packages they provide. Flexible pricing options can also make it easy to upgrade services to meet the demands of your new brand. For example, imagine your organization initially chooses a website-building plan with hosting and minimal marketing automation tools, only to learn that you should have selected a more feature-heavy option, in many cases you can make changes to your account without penalty. Creating high-impact visual content can be easy with the right images. Photographs and graphics add a storytelling component to websites that can make a person or business more relatable to customers. Choosing the right images to help you communicate the ideas, products, services, and vision you have for your company can require considerable time and money. Purchasing stock photography and graphics one image at a time can be costly if not offered as a service provided by the website creator. The best website builders include royalty-free images for you to choose from. This eliminates the need to hire a graphic designer or photographer to provide original material for your site. Best of all, you’ll find collections of photos that pertain to the same subject or business category and which may have been created by the same artist. This allows you to create a seamless look for your brand. 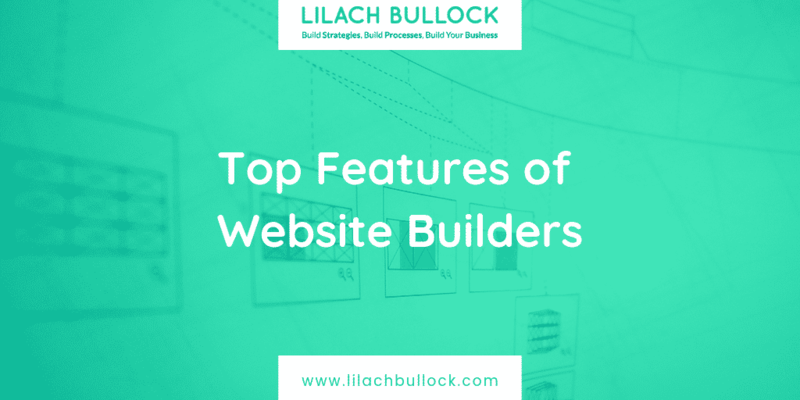 Is a Website Builder the Right Solution for Your New Website? This post has presented a compelling case for website builders, so the advantages of using one are clear. Not only do they create consistency in your digital landscape, which helps support your brand identity and recognition, these services also help to clearly communicate the ideas you want to share publicly through careful wording, detailed descriptions and explanations, high-impact imagery, an easy-to-navigate format, and built-in tools such as SEO – all as dictated by you. Deeana Radley is a business and technology writer with over 5 years of industry insight. She writes about business software solutions and industry trends.